Today you can see that surveillance cameras are being installed in the most busy places of cities. Coming to any private house or even to the door of the apartment, you also notice that you are under the sight of a video camera. 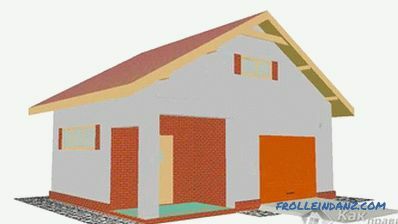 For the owner of the house or apartment you are, in essence, at a glance. If where you live there is a complex criminal situation, then chances are, and you want to be aware of what's happening beyond your doorstep. In other words, you no longer feel safe without CCTV. Your desire is completely understandable, because many are eager to get a complete picture of everything that happens behind a door or fence. Be alert due to the installed camera. This will help in time to detect potential danger and respond accordingly, not allowing attackers to act with impunity, so in this article we will describe how the installation of surveillance cameras can be done with your own hands. 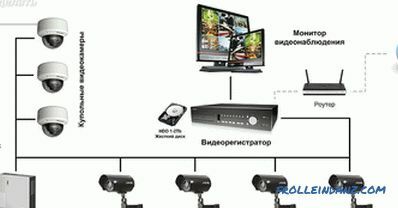 Modern video surveillance systems are divided into analog and digital. It is considered that the analog method is yesterday. But this is a misconception. What is the video surveillance method to use? How do they differ between themselves? It all depends on what functions are assigned to the entire video surveillance system. For example, analog systems can be installed on objects with a small area that do not require round-the-clock monitoring. 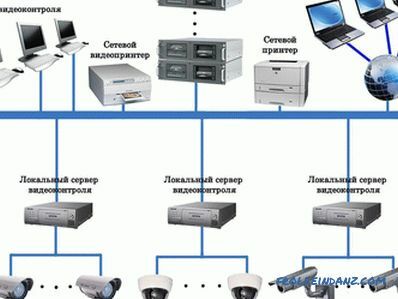 Such surveillance is most often used in cafes, offices, parking lots, in houses, apartments, etc. It is worth noting that the analog method of video surveillance will be cheaper than a similar digital one. However, in this case it will not be possible to include everything in a comprehensive surveillance system. This can be done only in the digital version by combining the warning system, alarms, etc. The camera reads the information. Then the resulting image goes through the video cable to the DVR, where the video signal is processed, and only after that you see on the monitor the real picture of what is happening. The recorder itself records the processed image on the built-in memory. Later, if necessary, you can view this entry. So, before you take the drill, you should develop a plan, then There are pre-determined how many cameras you need. Then you need to schematically depict their location, as well as the places where you will be laying the wires from the DVR to the video cameras. If you need a wireless video surveillance system, then the acquisition of a digital device will help. When wiring, it is important to consider where the existing voltage cables are laid. Do not allow installation to be carried out near these cables. Otherwise, you will get an image with noise. 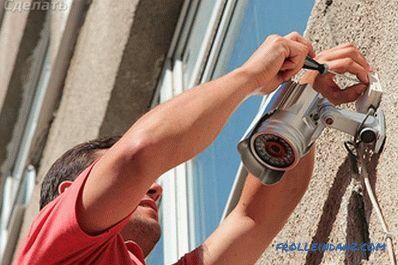 It is necessary to lead the wires at a distance of at least 1 meter from the existing electrical wiring. 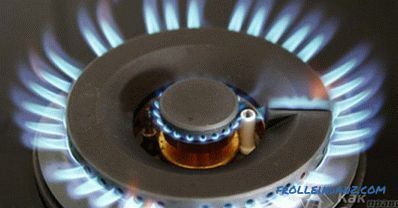 If this is not possible, then laying the wire is carried out in the metal hose, followed by the removal of the last . Next, you need to determine the viewing angle of each camera. If the angle is large, then the number of objects that fall in sight will also be considerable. With the only caveat: small details will be either poorly viewed or not viewed at all. Accordingly, if the viewing angle is small, then small details will be clearly visible, but the observed territory as a whole will not be so well viewed. Everything, of course, depends on the goals you are pursuing when installing such equipment. Now let's talk a little about the cables that we will need when installing a video surveillance system. If you take an analog system, here you need to use different cables. It all depends on where they will fit: outside or indoors. Power cable. This cable is intended for powering video cameras, which are located at a distance of no more than 110 meters from the DVR. Since the supply voltage is 12 V, an ordinary copper multicore cable is quite suitable. Its cross-section should not exceed 0.5 mm 2 . But what if the distance of the cameras exceeds 110 m? It's not scary. 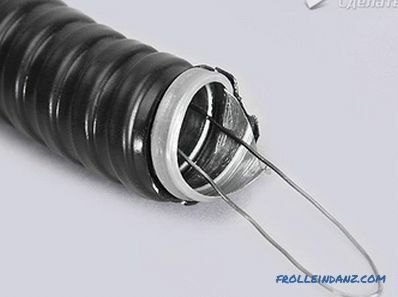 But in this case, the cross-section of the power cable must be at least 0.75 mm.Note that the power supply should be placed as close as possible to the camera. Twisted pair. This is a "long-range" cable, i.e. it has the ability to transmit a video signal over vast distances. It will be very good if you use it in tandem with active transmitters. Otherwise, there is no point in using it at all. Coaxial cable. This type of cable has a central copper conductor and is used as a connecting link between the camera and the DVR. It is through it that the signal is transmitted to the recorder. The diameter used is 5 mm. No more. Combined cable. It is used mainly for a single camera installed for video surveillance in the apartment. Cameras can be either internal and external. 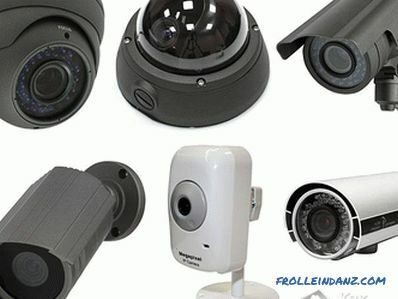 It is clear that the video equipment used for outdoor surveillance must be “hardy” to sudden temperature changes, and also have a strong body in case of various objects, such as ice or even stones. Better to get a camera with IR illumination. But this is if the observation is conducted around the clock and electric lighting is not enough. In this case, the IR illumination on the camera is relevant. Also, the cameras themselves differ in body shape. Dome-shaped cameras are used most often indoors and attached to the ceiling. Chambers-cylinders have fasteners that allow installation of equipment on both vertical and horizontal surfaces. Cameras having a body shape are mounted only indoors. The lack of a lens does not prevent this equipment from shooting a high-quality picture. Modular video devices are characterized by the fact that they have no body at all. Thus, these cameras are used as covert video surveillance. And finally, a turntable is considered the record for value. It is understandable, because the ability to spin around its axis (360 º ) is inherent in not all analogues. As for the camera’s “eye”, it’s also happens different. There are varifocal lenses. This is when the focus can be changed manually, according to the principle of “closer-further”. And there are lenses with a fixed focus, i.e., neither will be able to be brought closer or moved away. If you had to install the video surveillance equipment yourself, be sure to pay attention to the power of the camera itself, as well as the current it consumes. What is it for? To choose exactly the power supply that is needed. take into account the number and characteristics of video cameras. Conventional cameras are powered from the network no more than 12 V. For example, you are going to install three cameras, each of which has a nominal value of 12 V and 0.7 A of the consumed current. In total, it comes out to 2.1 A. A power supply unit with a current of 3 A is quite suitable for such a system. As for the current strength, there must necessarily be a small margin of amps. Next, it is logical to draw your attention to the device, without which the entire video surveillance system would be "brainless". This is a DVR. When buying this device, be sure to see how many audio and video inputs it has. There are 16-channel recorders, i.e. you can connect 16 video cameras. If you need to connect more, this problem can be solved with the help of the network when two or more registrars join. You can also use the video capture card (there are 32-channel cards). You also need to know how much memory can be used in the DVR. You need to think about how many days an archive of a record can be stored with such a volume, if on average the camera consumes 300 GB of a hard disk while continuously recording for a day. It should be clarified what is the recording speed per channel and how much memory does the frame itself occupy. If you plan to simply fix people indoors, You can use the shooting mode of 6 frames per second per channel, but if the movement of the machines is taken, it is better to choose 25 fps. Compare the number of frames per second by the maximum frame size. Note that a separate number of frames is recorded, and a separate frame is displayed online. By the way, the online mode almost always displays 25 fps, so be guided by the record. 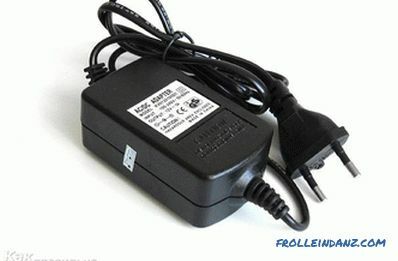 If cameras are installed outside, remember that power supplies must be placed in a sealed box. The holes through which the wires will run must also be airtight. When planning the places where CCTV cameras will be installed, you should definitely take into account that the camera itself and the junction boxes should be protected as much as possible from possible sunlight, from snow, ice or rain. 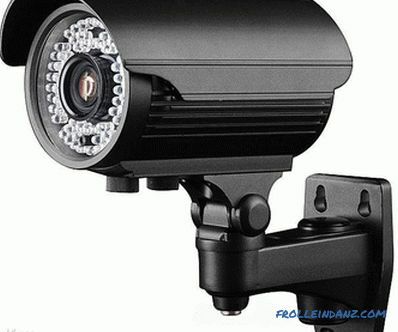 It is best to install the camera higher so that attackers could not cause any damage to the equipment. 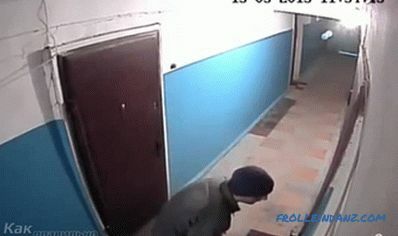 It is best if the video surveillance is hidden or in combination with the usual one. This is especially true in those facilities where there is a strict monitoring regime. Before installing the bracket for video equipment and before pulling the wires, it will be very good if you make sure that the camera itself is working. How to do it? We need to look at the picture, which gives the system. You can also determine the angle of view, as well as check the mode of day and night vision. The lighting should be evenly distributed over the territory of the protected object. It needs to be checked. Why is it important? Suppose you set the camera in a dark place, but it removes the light part of the territory, it may ultimately affect the image quality. Do not allow direct sunlight to come into the camera. It can disable it. To do this, take into account the path of the sun across the sky throughout the day. If you plan to carry out video surveillance in the dark, you must make sure that the area is sufficiently lit. If this is not the case, then the cameras themselves should be with LEDs or IR illumination. Inside the premises (shops, offices), cameras are mandatory installed on the entrance and exit. What is it for? You will always have complete information about who comes into the room or who goes out and at what time. Also, when installing video equipment, you need to ensure its availability. If you can easily get to the camera, then it will be easy for you to take care of it, which will invariably contribute to the smooth operation of the equipment for many years. It is imperative to worry about the protection of the "brain" of the video surveillance system - the DVR. This is the device that attackers hunt after their black work most often. The “brains” of the system must be safely hidden in a secret place under the lock. 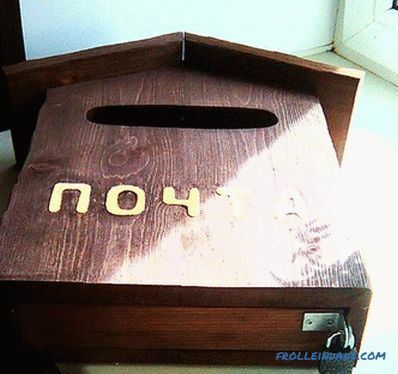 But remember, if it is safe, you will have to drill holes in it, because the registrar needs a small draft for cooling. That is the problem. And finally, when choosing a camera, there is a temptation to take color. And rightly so, because color models can provide more detailed information - color (clothing, car). Therefore, it will be good if you still take the color, but with the mode: "day-night." That is, the camera switches to a black and white image at night, since in poor light conditions only the black and white mode gives a good picture. 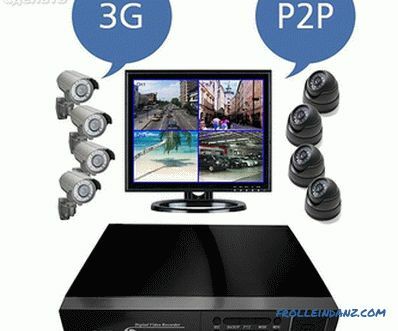 During the installation of the entire video surveillance system, you will still need a router. And here you can not do without special software (software). 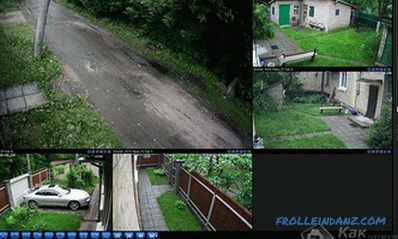 It must be installed on the computer, which plays an important role in the video surveillance system. Such software is included. When installing and running this program, you will need to set up the camera, and this should be done correctly. But what if the video surveillance system already mounted and the image can be viewed only on the main monitors? How to set up cameras without too much running around? Here you can not do without an assistant. Let it be located at the monitor with the registrar, and you - at the camera, you can negotiate via mobile communication. Such an adjustment by the duet will help set up the cameras as you need. And the cameras are set up. However, this is not all. Requires DVR setup.How to do it? First, you need to install memory (hard drives or SSD). When installing hard drives, make sure they are formatted. Then you can proceed to the basic setup. DVRs themselves do not really differ from each other, no matter how sophisticated they are. But this applies only to the menu. Therefore, using the example of a simple model, it will not be difficult to explain how this setting occurs. We will do this with a PC. The computer in this case can be considered a rather convenient device that is used to control the entire system. As usual, when entering the main menu, you will have to enter your login and password (this data is provided in the documents of the product). Once you have entered the menu, you will see that it has six sections. It will be appropriate to consider them. The "Search" option will help you to go to the archive, where you will find and be able to view the videos that interest you. Just specify the date, time and camera that shot the episode you want. Using the "configuration" tab, you can manage the entire video surveillance system. But the "management" is intended, respectively, to control the memory of the recorder. With the “setup” option you can install PTZ cameras and a monitor display. The function "system" is designed to track all actions in the system itself. The most important section is considered "auto-function", it contributes to the necessary reboot of the recorder device. It is necessary for its normal functioning. And now the hour has come when it is logical to go to the product of our modern era - IP cameras. All digital equipment is convenient to use, informative and multifunctional. You can install a wireless system and no matter whether the observation is internal or external. Accordingly, you will need a wireless camera and router (wi-fi router), the function of which is to transmit the image to a computer monitor or even your gadget. Of course, in this case you will need to solve two problems: first, to get an IP address, and second, to set up the equipment correctly. In the help you will be attached instruction or video guide on the Internet. You can save money if the equipment we plan to purchase is non-proprietary. Believe me, cheap Chinese is quite suitable for installation in your home or office. Looking for one takes time and patience. As a result, you can save up to 50% of the cost of the entire video surveillance system. As previously noted, the choice of the camera itself depends on the functions which she can perform. Digital video output devices give a very high quality picture. 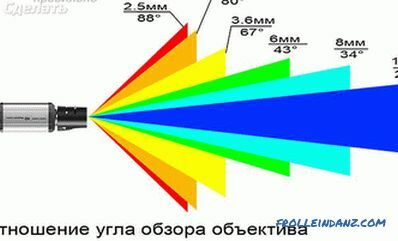 When you are faced with the choice of which device to take, always consider its abilities in terms of color rendition, resolution, focal length, viewing angle, IR illumination, etc. It’s worth a few words to say about the “brain” of this surveillance system, all the same unchanged DVR, but only with the prefix "ip"
the ability to view materials online. For the complete set, you will also need a monitor, as well as a keyboard that can be connected to the DVR. But connecting the keyboard itself is not a requirement, but rather for ease of use. All digital equipment needs program management, therefore, there can be no software here. To configure IP video surveillance on your own, you can use several types of software: first, there are programs that are specifically designed for specific models of recorders. Such software helps to set up a video transmission system, their recording, as well as archiving. This software is provided by developers for free.Secondly, there is another software, also free, but it also has a number of additional paid features, for example, access to remote developers archives. And, thirdly, there is already paid software that can manage powerful video surveillance systems. But at the philistine level, it makes no sense to use them. 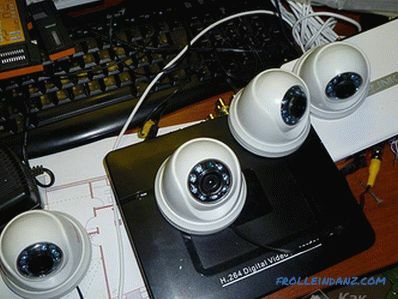 So, we have reviewed various video surveillance systems that you can assemble yourself. The main thing is to be able to pick up high-quality video equipment, and then correctly and correctly carry out its installation. We hope that the tips you read in this article will help you Significantly increase your level of knowledge about choosing, installing and configuring a video surveillance system. Of course, there are different goals that you pursue regarding personal security. But the main thing is, no matter how much it costs, time and money, your safety and the safety of your loved ones is worth it.